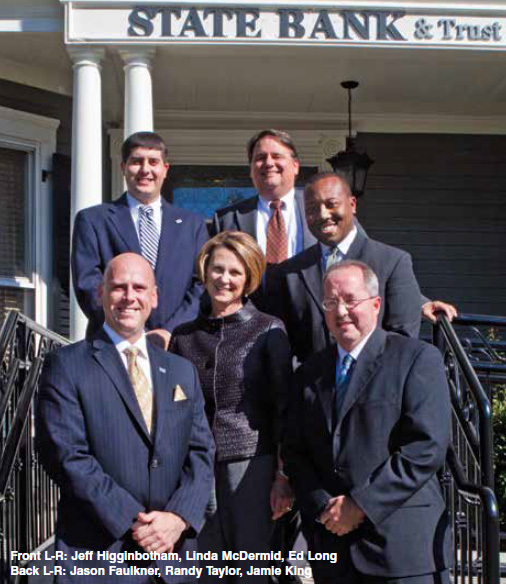 State Bank and Trust Company, one of Georgia’s best-capitalized banks, is actively involved in Cobb County from its downtown Marietta office at 250 Church Street. State Bank serves businesses and individuals with the personal attention of a community bank and the customized services of a large bank. 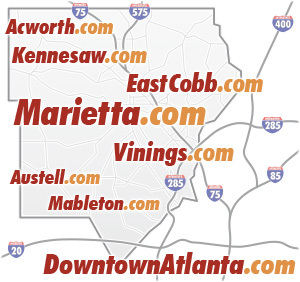 Other Atlanta area locations include Alpharetta, Norcross, Buckhead, Midtown and Jonesboro. State Bank was named the best performing community bank in the United States for 2011 by SNL Financial LC for banks between $500 million and $5 billion in assets. To learn more about State Bank, visit stateBT.com. The Story: I am originally from Madison, Wis., but I was a military brat, so I traveled around a lot. Before joining State Bank this year, I was in the army and have worked in various positions at large and small banks. Why Cobb? I came from a big bank, where they’re under pressure to sell. Here I’m offering the service that might be in the best interest of the client. It’s banking at its best—it’s relationship-driven. What Do You Love About Your Job? Dealing with my clients on a daily basis to positively impact their lives. Leisure Time: I love anything related to baseball. I have coached my son for more than eight years and I also run a small ballpark in Paulding County. My Best Advice: Small businesses need to find a partner they feel comfortable with. Good communication with your banker is vital. The Story: Most of my career has been spent working with very large banking institutions from Nations Bank/Bank of America to BB&T. I have had many different roles within the banking industry. 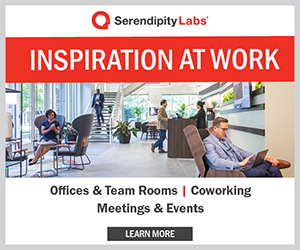 Initially, I started on the teller line and worked my way over to small business banking, commercial banking and eventually to my current role. I’ve always enjoyed working directly with small businesses and learning from their successes. 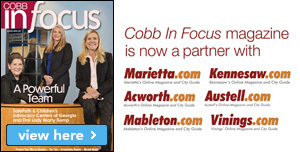 Why Cobb? Cobb is where I grew up and where I raise my family. At State Bank, we strive to be a community bank that is impactful to our communities that we serve and to our clients that we work with. What Do You Love About Your Job? We strive every day to be a vital financial partner with our clients to help them achieve their financial goals and aspirations. Leisure Time: I am a musician and I play drums at my church and have played in various bands in Atlanta for more than 20 years. My Best Advice: I often tell small businesses to have a three-legged stool approach to their financial partners. Every successful business that I’ve worked with over the years has had significant relationships with a CPA, an attorney and a banker. When business owners include partners in their business, it is an ingredient that leads to success and health.